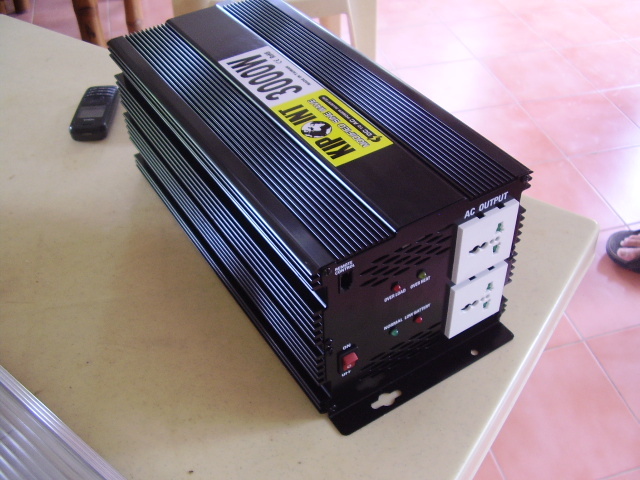 A Solar inverter or PV inverter is a device made to transform the direct current (DC) electricity from a photovoltaic array or a battery bank into alternating current (AC) for use with home appliances and possibly a utility grid. Stand-alone inverters, used in isolated systems where the inverter draws its DC energy from batteries charged by photovoltaic arrays or other DC sources. Many stand-alone inverters also incorporate integral battery chargers to replenish the battery from an AC source (grid or generator) when available. Grid tie inverters, the most common inverters, which match phase with a utility-supplied sine wave, provide the best return on investment. They allow the house utilities to draw their power directly from the solar panels and export to the grid the eventual excess energy produced. Grid-tie inverters are designed to shut down automatically upon loss of utility supply, for safety reasons. They do not provide backup power during utility outages. Hybrid ; Grid or battery backed up inverters. These are dual function inverters which are designed to draw energy from the solar panels and be backed up from either grid or battery as needed, manage the battery charge via an onboard charger, and sometimes as well export excess energy to the utility grid.